It might seem weird or pointless to do your laundry before you leave, but trust me- there is no better feeling than falling asleep in your own bed after a trip. What makes it even better is having fresh sheets and blankets! I always make sure to wash all of my bedding and towels before I go, just so it's one less thing I have to take care of when I get back. This is a free service from the USPS- they will hold your mail while you're away, so you don't have to worry about anything getting lost or stole while you're away! Plus- nothing says "the house is empty!" like a bunch of mail sitting in your mailbox for days or weeks. It's quick and easy to sign up on the USPS website, and you can choose to either pick up the mail at the post office after your trip, or have it all delivered to your house at once. Every time that I go on a trip (domestic or abroad), I always check out Airbnb first (ps- if you use my link to sign up, you'll get $40 off your first trip! Not sponsored- just a great deal they have for everyone). Not only can you find amazing deals for homes or rooms right in the heart of town, but it's a great way to get an insider/local view of a new place. I always get great recommendations from the hosts, and love having a place that feels more like a home (complete with a kitchen most of the time), rather than a basic hotel. There are different options you can pick- from a shared room (hostel-type lodging) to a private home to yourself. No matter what you pick, make sure that you stay in contact with the host just to make sure the place is booked- a word of caution I learned from Sarah's trip to Iceland! There's a lot of debate about the best way to get local currency when you're traveling. Some people like to exchange money, others only use credit cards. I prefer to get money from ATM's. Since I like to travel abroad at least once a year, I made sure to get a debit card that doesn't charge a foreign transaction fee. If you are charged a fee, try to minimize the trips you take by estimating the amount of money you'll be spending on the entire trip. There's nothing worse than getting back from an international trip and realizing that your cell phone bill is an extra hundred dollars! This is easy to fix just by switching on "Airplane Mode" on your phone, and using Wifi. I've found that free Wifi is really common abroad (sometimes you just have to ask for a password), and not having 24/7 access to the Internet and social media really helps me enjoy my vacations more. If you have to use data while abroad, check with your provider for any kind of travel package that they offered. I have Verizon, and activated TravelPass, which charges me $5 or $10 a day (depending on country) any time that I start using data, texts, or calls abroad. If I only use Wifi I'm not charged anything, but it's nice to have in case of emergency! By now, most people know the rules of carry on luggage- no liquids over 3.4 ounces, no weapons, etc. However- there have been so many times that I go to check small pockets or forgotten areas in my luggage and find an old water bottle or mace or other things that would get caught in security! Even if you're positive that there's nothing out of compliance in your bag, go through every since pocket one last time just in case. Who knows- maybe you'll even find some forgotten money! I feel like the biggest mistake that people make when traveling is over packing. If you have to check a bag, not only do you have to pay extra (depending on the carrier), but you also have to wait for your bags to come out and risk having your luggage get lost on the flight. Plus- it's just a pain to lug around heavy bags when you're trying to get around! When you're packing, try to pack as little as possible- chances are you don't need 5 different pair of shoes or 3 pairs of jeans for a weekend trip- and try using travel cubes or rolling your clothes to save room. I've managed to never check a bag (even when I traveled to Europe for 2 weeks! ), so I know anyone can do it! Ps- I shared a packing list in this post if you don't know where to get started! To go along with packing light- make sure you wear all of your bulkiest items on the flight. In the winter this can make a big difference by wearing thick sweaters, jackets, boots and scarfs, which helps free up space in your luggage. 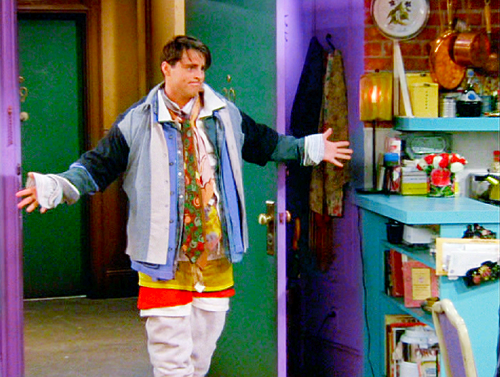 Plus- planes and airports are notoriously freezing, so having the extra layers on when you travel is always a smart idea. This comes from personal experience- always have a pen with you. If you're traveling abroad, you will have to fill out customs forms, and if you don't have a pen with you, chances are you'll be stuck in a long line while everyone who planned ahead breezes past you. It's always a good idea to have a pen on you anyway, so just make sure to throw it in with your carry-on luggage! City Maps 2 Go - Download maps and city guides when you have wifi, and use it when you're out exploring. Never get lost again! TripIt - Organizes all of your travel plans into one itinerary. Just provide your email address, and all confirmations will automatically get added to your itinerary. Duolingo - Fun program to learn a new language before your trip. I always like to learn the basics- common courtesy and respect for the culture goes a LONG way when you're in a foreign country! WhatsApp - I use this app all the time- it helps me chat with people all over the world! You can use the app over Wifi to stay in touch (I always add my Airbnb host so that I can get in contact with them), or keep up with friends that you make abroad. Units Plus - Convert currency (and other units of measure) instantly with this app. The current exchange rate is downloaded once a day when you're connected to Wifi, but can be used without a connection when you're out and trying to figure how much your meal costs! Google Docs and Photos - I love working on the cloud, because it means that I free up space on my phone! Google Docs works really well when you're planning a trip with multiple people- the doc can be shared with everyone and updated instantly. Google Photos will upload your photos to the cloud, so that you can delete the photo from your phone. Nothing is worse than trying to take an amazing picture and getting a storage error! What apps do you use when traveling? Aw man ... I need to travel. I used to (Europe in college, Alaska in summers), but it was before the internet and I know it would be so much easier now. Lots of great ideas here and I plan to refer back to this! Oh! This is really, REALLY good! You ARE a seasoned traveler! I love the part about washing sheets and making your bed before you go. I make sure to empty all the garbage cans around the house and run the dishwasher so that there are ZERO dirty dishes. I'm so glad you guys had fun in Mexico! Yep great tips esp the one about put on airplane mode! I'm always recommending AirBnB to people too! It really does save a lot of money because, besides generally being a lot cheaper than a hotel, you can make your own meals too. Also great if you are a special diet person like me and worried about finding safe food in restaurants. I also like to leave a meal or two (plus milk etc) in the freezer before I go, that way you're not running out to the shops or getting takeaway when you get back because you forgot there was no food in the house! That is so cool that USPS offers a mail holding service! I wonder if Australia Post has something similar! We use Airbnb most times we travel as it's so much more affordable - and enjoyable too as it means we can do all our own cooking!